Making Chicago Style Pizza is actually pretty easy and fun. I use my cast iron skillet for the deep sides and the heat patterns necessary for an even baking deep in the layered pizza.To begin with you need great pizza crust dough. You can get the pouch of quick dough mix if necessary. Make sure you let the dough rise properly no matter how you make it. It should double in size before it is ready to roll out.While the dough is rising, you can either make your own pizza sauce, or open the jar/can for the easy fix. You will divide the dough into 2 parts with one half being slightly bigger than the other. Roll the bigger half out to about 1/8″ for a crispy crust, but not too thick or it won’t cook well. Place evenly at the bottom of the greased baking dish. You will want to leave the excess that laps over for now, unless you need to incorporate that into the second crust section. On top of this bottom crust goes the meat and veggies. Next goes the second crust. You will want to make sure this layer doubles up on the sides of the dish and you may need to moisten the dough so it will stick to the first layer on the side of the pan. Pat it down and poke a couple small fork holes around the crust. You will use some water to make sure the crusts stay together on the sides of the dish. 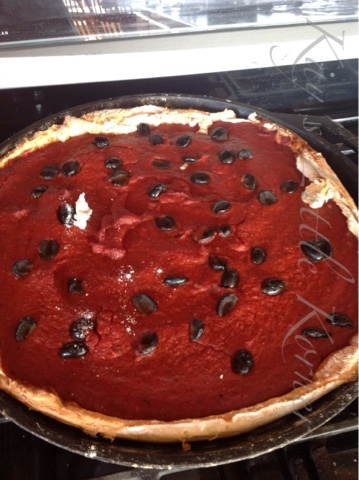 Top this second crust with your red sauce not more than 3/4″ thick (my family prefers only 1/2″ thick on the sauce) and garnish with olives or fresh tomato slices. Trim any excess crust hanging over. 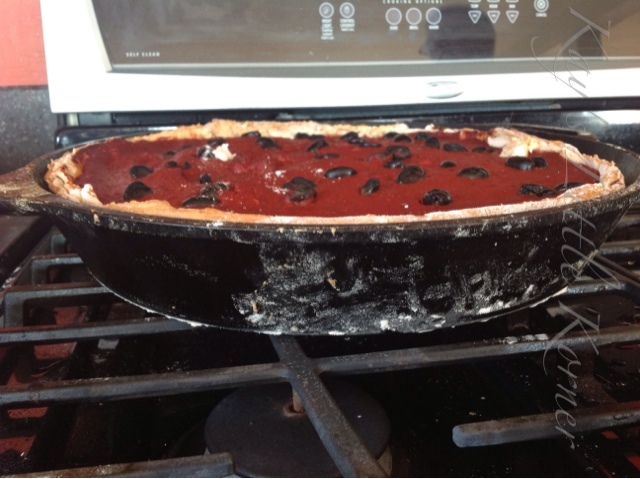 Place pizza in oven for about an hour, watching your crust for browning. The pizza needs to sit 10 minutes after you take it out. FF: Can you frag me? 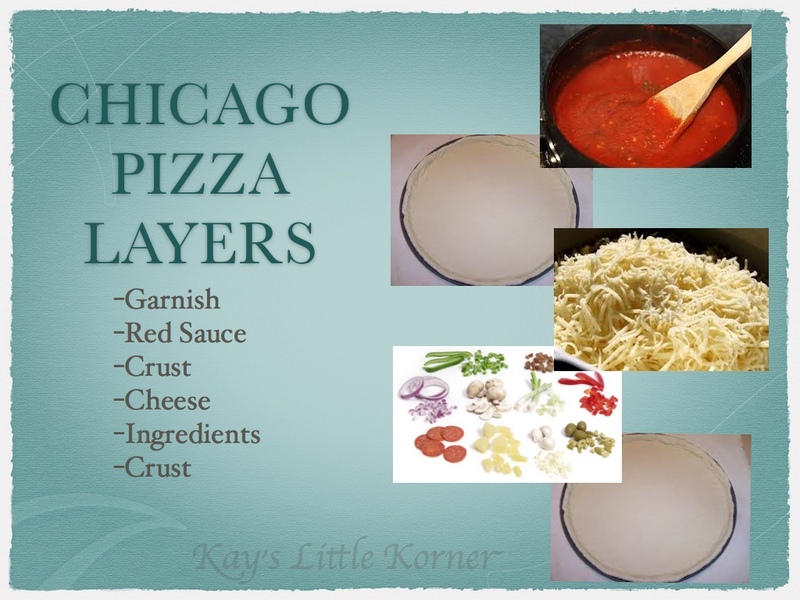 Oh I love Chicago-Style pizza and I never thought to make it at home!